Still no BMW 3 Series fighter, but it's a start. We’ll outright admit we weren’t the biggest fans of the Acura TLX during our review. It’s not a bad car by any means, but it doesn’t do anything better than, say, the BMW 3 Series, one of its main competitors. However, Acura has just found an even better use for it along with its impressive Super-Handling All-Wheel Drive system. The Acura TLX GT (we didn’t know there was one until now) has taken first place in the Open Class and Exhibition Class at the Broadmoor Pikes Peak International Hill Climb. Heck, it even captured third place in the Time Attack 1 Class. The TLX GT managed to race up the 14,115-foot summit in just 9:33.797, finishing second overall. Acura also brought along the 500 hp TLX A-Spec, which made its racing debut. It won the Exhibition Class with a time of 11:03.433, and took third overall in the Time Attack 1 Class. Long-time Acura racing driver Peter Cunningham piloted the TLX GT and he also won “Rookie of the Year” for the event. In the past, Acura has entered a modified NSX in the hillclimb, and it did so again for 2017 with the production-based NSX with GT3-inspired modifications. It ended the day with a podium finish, taking third place in the Time Attack 1 Class, finishing in 10:03.433. 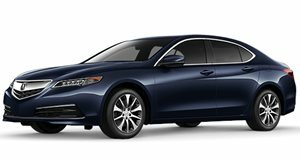 While this is great motorsport news for Acura, the fact remains that the production-spec TLX is in major need of a serious makeover, fueled more by driving and performance passion instead of being a bland mid-size luxury sedan.